Hundreds of runners, walkers, and cyclists are expected for the 10th Annual Cucamonga Challenge starting at 7 a.m. on Saturday, May 16, 2015, at Central Park in Rancho Cucamonga. 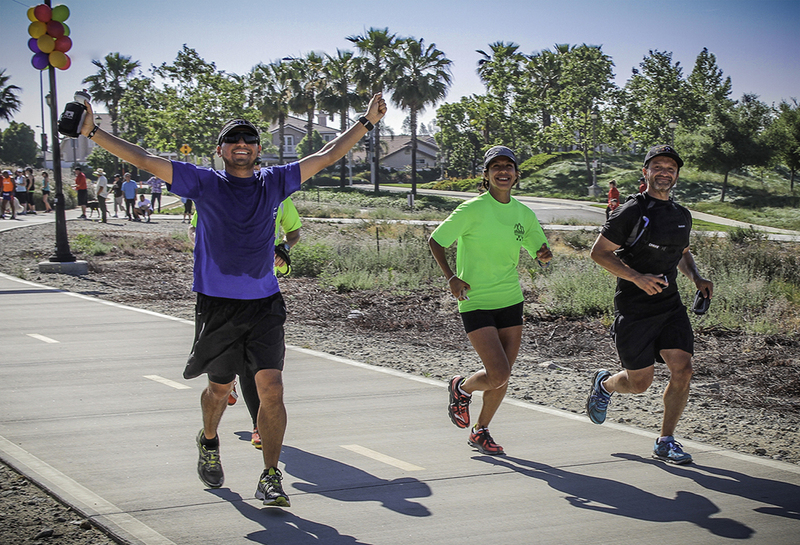 The Cucamonga Challenge, presented by the Friends of the Pacific Electric Trail, was created as a lifelong initiative to challenge individuals with their own fitness goals, from couch to trail to intermediate and expert fitness levels. The annual Cucamonga Challenge is a family event, which is held to encourage health and wellness goals while connecting with the community. The Countywide Vision recognizes that wellness is a key element in our community, and is essential toward attaining educational goals and a robust economy. The realization of the Countywide Vision depends on support, participation, and leadership from all community stakeholders, including non-profit organizations. Join us to support the Friends of the Pacific Electric Trail in its efforts to promote the use of the 21-mile Pacific Electric Trail in the Inland Empire and contribute to the achievement of the Countywide Vision by fostering wellness. For route maps, registration and other information, visit: www.CucamongaChallenge.com. Costs vary depending on the event. The event location is: Central Park, 11200 Baseline Road, in Rancho Cucamonga. Friends of the Pacific Electric Trail, a 501 c(3) organization, promotes the use of the 21-mile Pacific Electric Trail to encourage a healthy lifestyle. The PE Trail is a rail-trail that connects five cities: Rialto, Fontana, Rancho Cucamonga, Upland, and Montclair. All funds raised from the Cucamonga Challenge will support trail amenities such as benches, rest stops, bike racks, pet stations, and drought-tolerant landscaping.